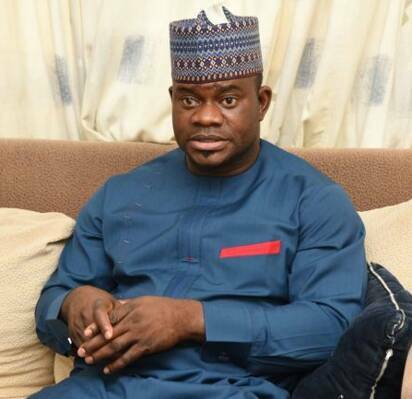 The Kogi State governor, Alhaji Yahaya Bello has promised the people of the state of his willingness, readiness and commitment to put governance ahead of politics as the 2019 general election draws close especially in the state. The governor, who gave this assurance in Lokoja through his Director General on Media and Publicity, Kingsley Fanwo, said the people of the state deserve good governance and quality service delivery. “We won’t sacrifice good governance for politics because the people of Kogi State that elected us expect nothing less from us. “We have our eyes on our agricultural projects across the state. Engaging our youth and bringing them to the mainstream of our economy is imperative for peaceful polls in 2019. “The people of the state have confidence in the administration and our leadership. We have strengthened healthcare institutions, boost our food production capacity and ensured security. “I am impressed by the pace of work on capital projects across the state, which cover roads, hospitals and educational institutions. The world-class Diagnostic Centre has also reached advanced stage. “We have achieved all of these because of our breakthrough in ensuring security. When the administration came on board, kidnapping and robbery were at strangulating point. But today, through heavy investments in security, farmers can work on their farms and contractors can work on their sites without the fear of being kidnapped”. The governor urged the media to focus on the development going on in the state, rather than the “coordinated attacks by the enemies of the state who have been disappointed that the administration has cut off their fraudulent pipes”. In a related development, Governor Bello has expressed satisfaction with the giant strides of President Muhammadu Buhari administration, saying the President has fulfilled his promise to “work for the interest of the poor at combating poverty through empowerment”. “Today, the youth are being paid through N-Power programme. In the past, those monies were syphoned by the enemies of the poor. “More than any administration since 1999, the present federal government has done more to improve agriculture, diversify our economy and paid due attention to rail transportation. “The encouraging news about the Ajaokuta Steel Plant should be commended. Steel production is one of the requirements for Nigeria to finally become a global economic force.